In our quest to bring you the most awesome, fun and creative crafty projects, we've found a sweet necklace tutorial that's put us over the moon (sorry about the bad pun...we couldn't resist!). Clemence over at Oh the Lovely Things has dreamed up a necklace that leaves us starry eyed and pretty excited to drag out our glittery nail polish. 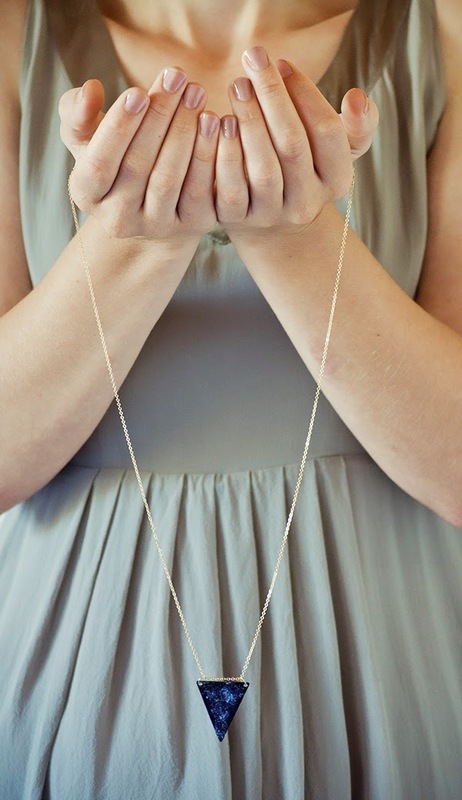 That's right - Clemence created that pendant using a brass charm and nail polish. So crafty! Check out Clemence's full tutorial here.